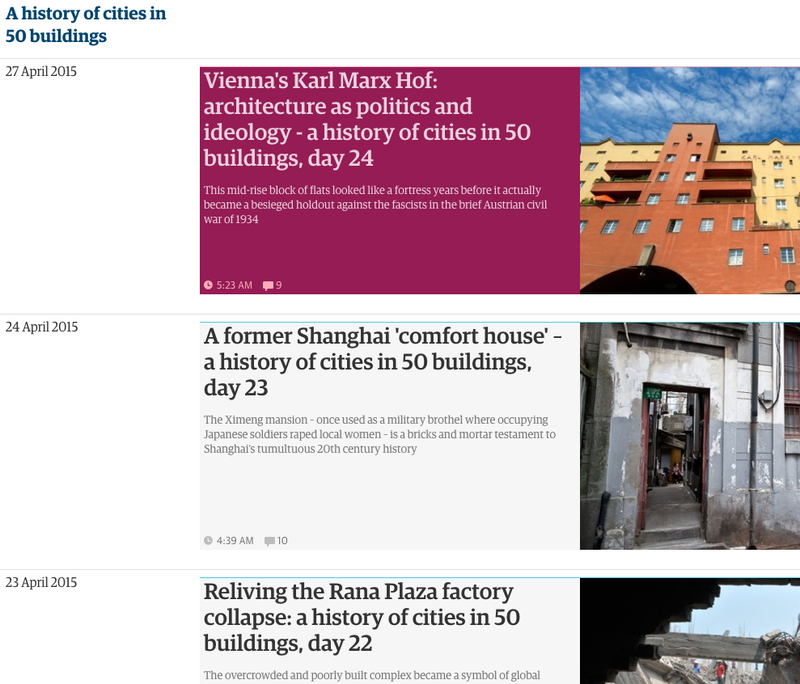 Today is day 24 in the “History of Cities in 50 Buildings” series that The Guardian is sharing with the world. A global (literally!) view on structures from Chicago to Mumbai to London and Timbuktu, the stories explain the cities by describing the history of the buildings in 50 cities. 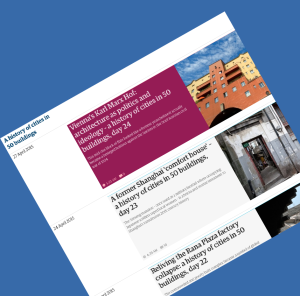 – A group of public housing buildings in St. Louis, Missouri, USA, that were so terrible that they were blown up – and how that all happened and what it meant to the city. And there are 47 other stories. These stories are not written for young kids, but they are stories that can be retold to kids, so that they can also learn from our built environment as we all build the future.